A former US Marine has claimed he spent 17 years of his career on MARS. 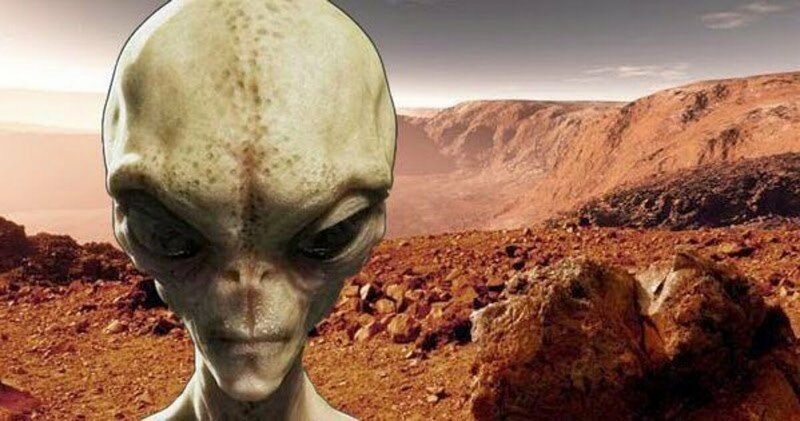 The ex-naval infantryman, who uses the pseudonym Captain Kaye, says he was posted to the Red Planet to protect five human colonies from indigenous Martian life forms. Captain Kaye’s testimony reveals that the main human colony on Mars is called Aries Prime which is located inside a crater. Aries Prime serves as the headquarters for the Mars Colony Corporation. According to Captain Kaye, the air is breathable on the surface of Mars, and the temperature could be warm at times. After serving 17 years of a 20 year tour of duty, events changed dramatically when virtually all combat personnel from the Mars Defense force were asked to retrieve an extraterrestrial artifact from a cave sacred to the indigenous Reptilians. Captain Kaye described how over 1000 men and women were killed in a subsequent battle and only 28 of his colleagues, including himself, survived. He claims that there are two indigenous species on Mars, both of which are highly intelligent. One of these was a Reptilian species that was very aggressive in defending its territory. The other was an Insectoid species that was equally capable of protecting its territory. He said that indigenous Martians are not particularly interested in expanding their territory, only maintaining it. Captain Kaye said that as long as the Mars Defense Force and Mars Colony Corporation did not encroach on the territory of the indigenous Martians, there would be stable relations.